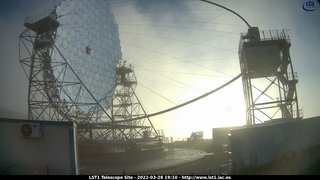 This is the LST1 website on La Palma. Here you will find information about the LST prototype construction project. 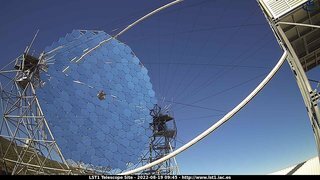 The official Cherenkov Telescope Array website is hosted at www.cta-observatory.org . 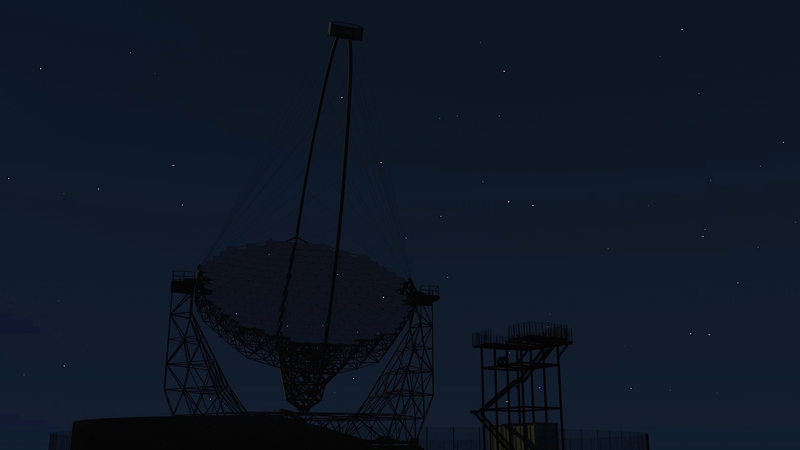 CTA consists of three types of telescopes, with the LST being the largest in diameter: 23m. The purpose of the LST is to enhance the sensitivity below 200-300GeV and to lower the effective threshold down to 20-30GeV. The science case of LST is the observation of high redshift AGNs up to z ≤ 2, GRBs up to z ≤ 4, and pulsars and galactic transients. LST will surely expand the domain of science to cosmological distances and fainter sources with soft energy spectra. 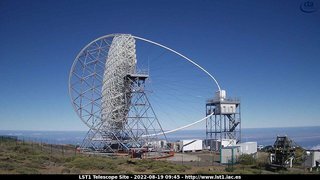 The LST project team consists of more than 100 scientists from ten countries: Brazil, Croatia, France, Germany, India, Italy, Japan, Poland, Spain and Sweden. 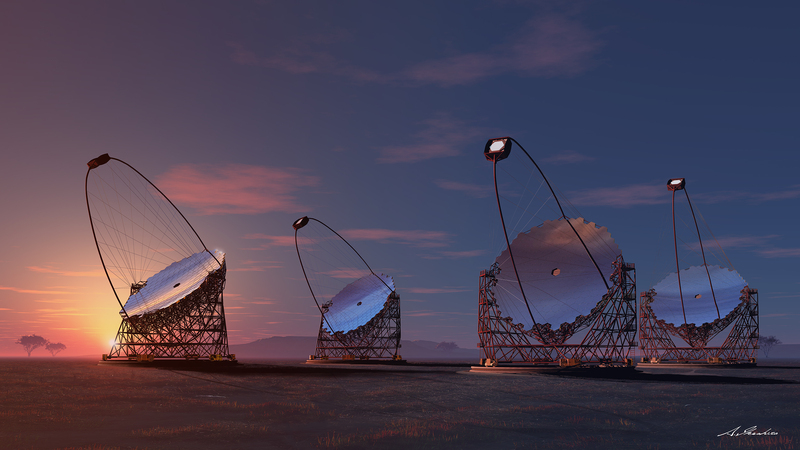 Four Large Size Telescopes will be arranged at the centre of both the northern and southern hemisphere arrays to cover the unique low energy sensitivity of CTA between 20 and 200 GeV. 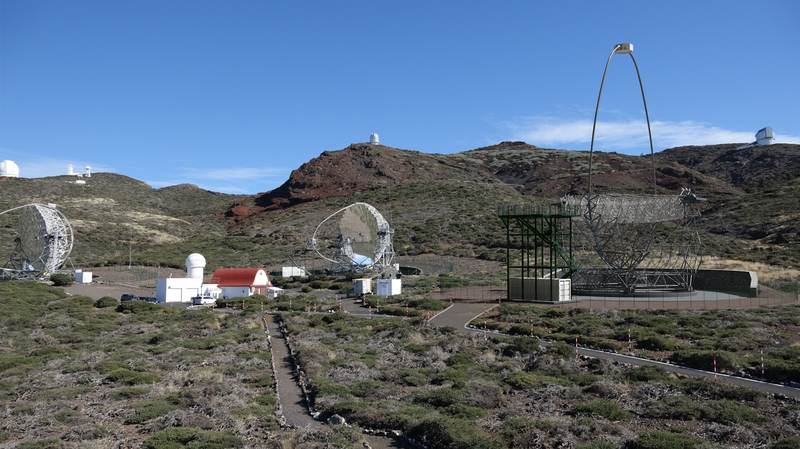 The prototype LST1 is scheduled to be installed on the Observatorio del Roque de los Muchachos site in La Palma, starting in mid 2016 with the commissioning phase lasting until the end of 2019.